Do you have the opportunity to use your strengths every day? Chances are, you don’t. All too often, our natural talents go untapped. Gallup finds that people who use their strengths are three times more likely to report having an excellent quality of life. StrengthsFinder 2.0, one of the bestselling business books of all time, is loaded with hundreds of strategies for applying your strengths. Learn how to use your talents every day so you can thrive in life and at work. This book will change how you look at yourself — and the world around you. 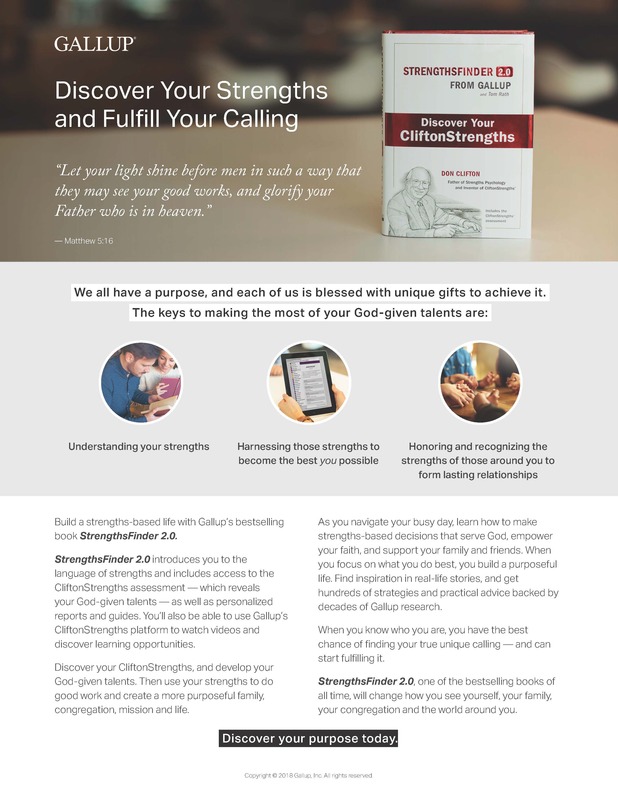 StrengthsFinder 2.0 includes access to the CliftonStrengths assessment and to personalized reports and tools to learn more about your strengths. Visit our Gallup Information page for some more information about Gallup titles.